They're just like us! Well, most of them. Check out what your favourite local celebs are doing on their day off. Minnie Dlamini is spending some quality time with her "big bro", Metro FM DJ TBO-Touch. Cricketer Dale Steyn, for some reason, is tearing apart hotel pillows. "Hotel pillows can be so big sometimes... #jackthepillowripper," he captioned this pic. Um, is that allowed Dale? Jena Dover is hard at work learning lines from her Rhythmn City script, which has her a bit grumpy. "I wish I could just press scripts against my head and the words would go in," she vented on Instagram. Boitumelo Thulo is posting cute, colourful selfies with Corine Broomberg. Radio DJ Ian Bredenkamp was still hard at work doing the morning show on Kfm, but seemed full of the joys nonetheless. "Hello Friday! Hello sunshine! Hello Table Mountain!" He captioned this gorgeous view from the studio. 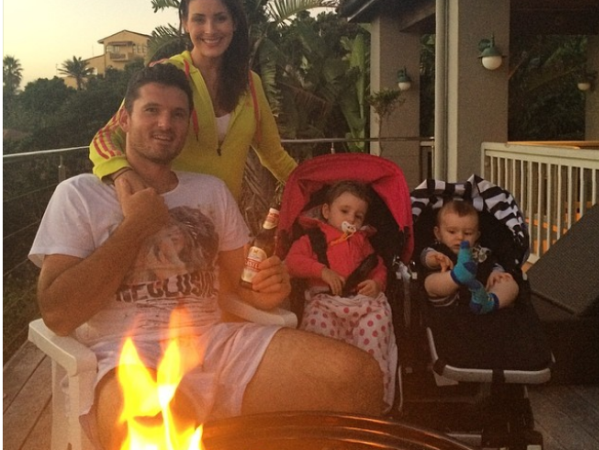 And Graeme Smith and his gorgeous family rang in the long weekend in true South African style - with a good old braai! "Have a great long wkend everyone," he posted. "love, the Smiths"